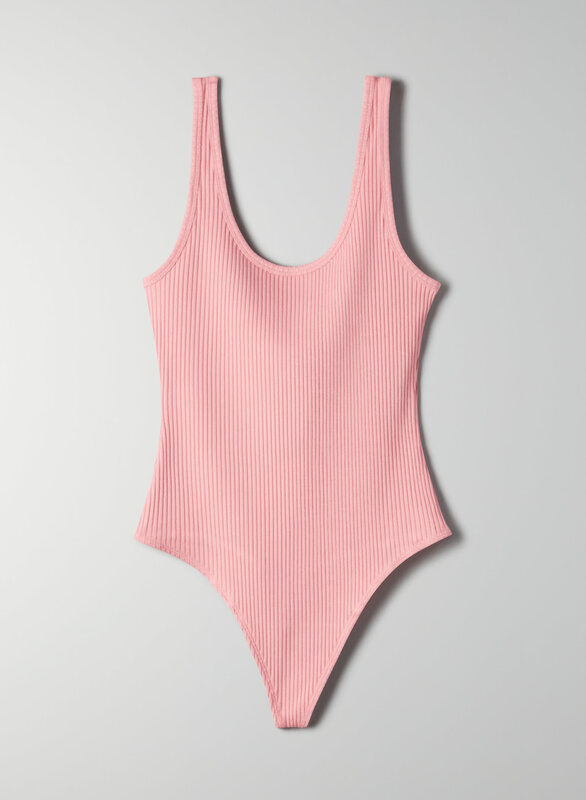 This bodysuit is made from a rib knit that has the perfect amount of stretch. Feel hugged in and look super streamlined. I have orange and beige. I’m 5’7, 150lbs and got beige in M (my usual Aritzia size) and orange in L. I much prefer the large. The M is a bit short and L is longer without being much bigger. Overall love this item and it’s quality. I love this bodysuit so much. I originally bought this in black and loved it so much that I bought it in army green. The only downfall is that there is no snap in the crotch.